Now that we are coming close to the end of online course “English for Thesis Writing”, it is high time to start reflecting on what we have been doing last months. So this post typically recaps the work and experience we gained from the graduate program, specifically from the online course. To begin with, I could say that every student`s academic needs were highly satisfied in terms of the content and delivery of the online learning course. Also the style of giving feedback and communication (commenting on each others` posts) enabled us to become engaged with our group mates during online blog discussions. Moreover, perhaps the best thing that stood out from this particular course is the quality of feedback obtained from our language instructors since it is important for any student to know how well they are doing as they learn. Teachers provided with quality, specific and timely feedback, which without any doubt helped make a huge progress in our learning. Besides, allowing to see and give feedback and comment on each other`s work made learning interesting and extremely useful. We were able to learn from our own and others` errors concurrently. I can certainly say that day by day the knowledge we did here in this program gave us a great sense of achievement, which inspired us to learn more and further and still does. Nonetheless, certainly, there are areas, which need people`s thorough devotion and attention as there is always room for improvement. For instance, in my case, as for now I am not completely sure of my secondary quantitative data analysis part since I have never done such kind of thing and completely new for me. Nevertheless, now having read a lot on doing secondary analysis it is a bit clear of what I am supposed to do in my full thesis. Yet there exists one common problem for any online student called time management since most of us too overscheduled. Along with our elective coursework and research responsibilities, many students work full time and have responsibilities like home and work, which are competing for their time and attention as well. Due to these demands, working on a full thesis can be a real challenge, therefore, for future online students I would suggest allocating specific time for study and work and study a little by little rather than cramming at the end of the week in order to submit an assignment on time. As for thesis writing experience, at the beginning of your write up journey, the process of writing a thesis could appear to be a long, tough and demanding task that a person has to cope with, though, after dividing it into small chapters and writing a couple of sections the rest of it seems to sound easier. Believe me! Regarding the improvement of the course I believe that this course would be even more beneficial if we focused more on our main thesis and wrote about it. However, I do understand that grading various thesis-writing assignments will be time consuming and exhausting for instructors. My mini-thesis study employed both the qualitative and quantitative research methods to explore the effectiveness of online learning environment upon undergraduate student academic achievement at Nazarbayev University. The instruments consisted of the student survey (quantitative data) and interview questions (qualitative data) since using different methods of data collection helped in providing a more in-depth analysis of the effectiveness of online learning. 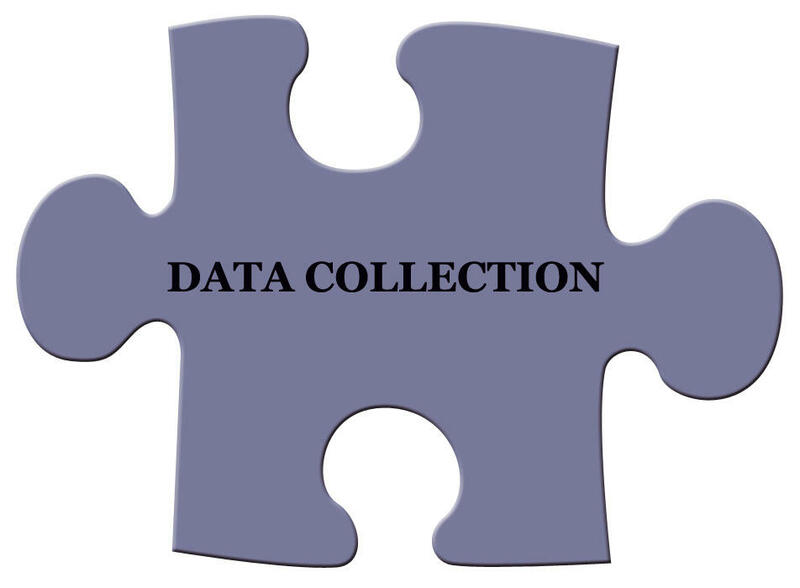 Frankly, from this small-scale data collection I realized that qualitative part of research, without saying, is pretty hard to obtain probably either due to being more inclined to quantitative data collection and analysis or having less experience in qualitative area. To begin with, one of the challenges I encountered was choosing participants for my study. Unfortunately, it did not turn out how I planned. Most of the respondents were unwilling to take on responsibility. Then agreeing on appropriate and convenient time for all of us was another issue to deal with. So I came to conclusion that if I precede that way my results could be messed up. Consequently, I recruited my subjects through snowball sampling to be clear through my cousin`s personal contacts who were so nice to forward my requests to their contacts to take part in my mini research. Second challenge was conducting the interview itself. Throughout the interview, I noticed that sometimes interviewees did get off topic if not properly direct them. Now reflecting back on my interviewing process, I think that participants either misunderstood the questions being asked or did not want to give direct answers. Another problem arose from participants` non-talkativeness. Some tended to give brief answers that were generally uninformative or ramble on about irrelevant themes. Besides, sample population seemed to me to contradict themselves: they may say one point in the interview and afterward say completely another thing, which for sure confused me from time to time. Nevertheless, I should admit that these interviews were of great help. They assisted me to determine whether there were any flaws, limitations or other shortcomings within the research instrument. Additionally, it let me make essential amendments preceding the usage of the study and minimize the aforementioned risks by employing probing questions and piloting process before conducting real interview. Honestly, I am not an avid user of technology in the classroom. Though I fully understand the fact that currently we live in a more networked world where the Internet has become an essential tool for human communication and education. Thus, there is an urgent need to evolve our learners` competency to work creatively and innovatively. The use of technology can be precisely a means to respond to these demands of the society and meet the needs of the 21st century learners. Hence, today while searching for online tools that can facilitate teaching and learning I have found hundreds if not thousands of such tools. 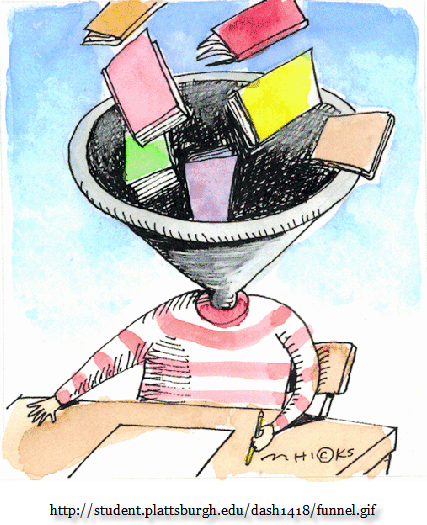 But the instrument, which drew my attention straightaway, was the real-time assessment tool simply known as Formative. This tool provides teachers and students with an online assessment outside the classroom. The Formative is the most recent online application that combines online quiz and instant feedback service concurrently. It operates on any gadget, which has the Internet connection. This software allows educators to create online classrooms, that is, students sign up for the Formative application followed by enrolling in the assigned class. As soon as an online classroom is built up, a teacher can assign assignments to students prepared by him. The types of assignments could range from simple quizzes, for instance, short answer, multiple choice questions to complex ones as true/false or open-ended questions. Besides, teachers can provide their learners with immediate feedback. One of the peculiarities of this tool is its “Live results”, in other words, a teacher has an opportunity to track, watch and observe the students` answers in real time. The system enables teachers to watch and observe students` answers and how they work online and intervene at the right moment to give feedback or direct students to the right path as needed if they wish. Furthermore, intervening online into every learner`s work helps educators reduce the disparity between low and high achievers in the classroom. In addition to the above-mentioned benefits, there is an innovative element of Formative program called “Show your work” that makes it distinctive from other online tools. It permits learners not only type their answers but draw or upload images to the questions on a blank page of the screen. This feature is especially perfect for math learners since math tasks are not answered simply by standard keyboard as they usually contain various formulae and math figures. Moreover, with the help of this program not only teacher could save his time but get red of the piles of unnecessary paper to check and provide feedback. As for the challenges of implementing this application I cannot share with them yet since I have just come across this tool today. However, the Internet access can be the main hindrance owing to the fact that not all learners could have an access at all to effectively employ this software at home. As a second-year graduate student I am on my way to writing a literature review for my thesis where I have to demonstrate not only a mastery of existing knowledge and research as I used to do in my undergraduate years but move towards creating and building new knowledge. This is what I understood last year from my professors` constructive feedback, thank God, only upon submitting my first draft. I understood what literature review is in reality, that it is more than listing or summarizing the studies that have preceded my research area and what it does require from us to do. So now I am on my way of pointing out overall trends in what has been done or published about my topic. Specifically, since there is a great number of contradictory studies concerning the effect of class size on student`s academic achievement and a lack of widespread agreement on the definition of small classes, I began my literature review with comparing and contrasting different authors’ views on this issue, also grouping scholars who draw similar conclusions like reviewing arguments for and against the benefits of small class sizes and its relationship to academic achievement along with giving what class size does constitute. However, before reaching the aforementioned stage I, first of all, needed to define my position, in other words my argument for the research and the organization of the review. In order to build such arguments for or against I had to assess and read the appropriate scholarship and delineate its strengths and weaknesses in relation to my research field and find similarities or differences in their content and put all the pieces into one picture, pointing out what is clear or what is missing in those studies then identify the goal of the research as “filling the gaps”. Only after that I was able to explain how my study would be built on the work of other academics and fill the research gaps in the local context. As for the challenges in finding relevant resources, I hope not to find anything of the sort. Nonetheless, there is one issue which does not leave me alone and concerns me most, is the right way of demonstrating my literature review, since our writing skills most of the time lacks synthesis and similar, unfortunately, to the list-like writing or summary writing. Analyzing, synthesizing and reviewing of various scholarly articles and papers are considered to be as one of the most important features of any academic writing. They are profound since they show how far someone have understood or investigated the certain area and more significantly make inferences from them. For this reason, author(s) of any academic study should be given proper credit to. Therefore, social and behavioral sciences adhere to American Psychological Association, known as APA style. Citing and formatting in such uniform system is essential in academia. First of all, it gives proper credit where the information is to be found and demonstrates that a writer is providing his/her own ideas as well as including those of various scholars. Also it assists scholars to be consistent and uniform throughout an academic paper for the reason that the APA citation style requires one to provide citations within the text along with the final reference list, which is found at the end of any scholarly writing. Moreover, the APA method is additionally essential on the grounds that it enables readers to effectively identify and locate the materials referred, in other words it can be delineated as easy-to-follow-reference. This capacity to track sources is vital if an academic wishes to examine the original source straight and on his own. The last but not the least thing to mention is that it helps researchers in their research and academic acts such as “retrieving documents for verification of data and building credibility as author(s)” (Faunce, & Soames, 2001; Spivey, & Wilks, 2004; Sweetland, 1989, as cited in Chism & Weerakoon, 2012, p. 27). Regarding myself, I have been familiar with this particular method of formatting and citing in an APA style through my previous experience since 2011. Fortunately, I could say American Psychological Association (APA) style did not turn into a frustrating experience for me thanks to my language instructors and their advice that helped me a lot at that time. 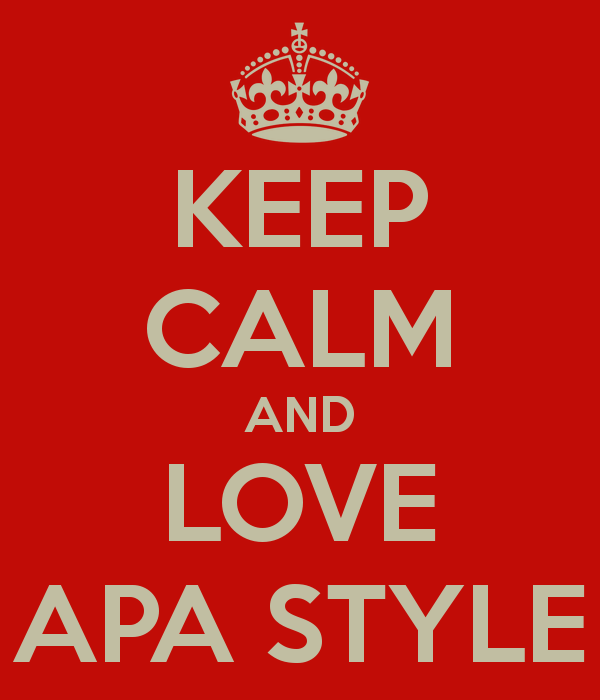 However, one could agree with me that the APA style could be time-consuming unless you do not give references and write your paper concurrently, which definitely saves our precious time. Chism, N.V.N., & Weerakoon, S. (2012, June). APA, Meet Google: Graduate students’ approaches to learning citation style. Journal of the Scholarship of Teaching and Learning, 12(2), 27 – 38. By reason of the rapid development of cutting-edge educational technologies and its penetration into higher education, the characteristics of learning environment have been going through notable changes such as traditional relationships between educators and learners are shifting “from teacher-centered approaches towards a personalized, small-group orientated, multi-dimensional model of teaching” (Sun, 2011, p. 428), and to “pedagogies that are more personal, social and participatory” (McLoughlin & Lee, 2010, p. 28) which is leading to the emergence of online instruction as a new and additional supplementary mode to traditional learning and teaching. Therefore a great deal numbers of scholars and researchers have been drawing growing interest and curiosity towards the current technology-supported learning and teaching environment over the past decades and as an online distant Master student I endeavored to find studies that explore the effect of online learning on either undergraduate or graduate students. As the most interesting and appealing article that stands out for me from the rest of the articles is the one written by Browne (2003) “Conversations in Cyberspace: a study of online learning” since it addresses the relationship and communication between teachers and students on a Masters Degree in Education delivered online in one of the universities of UK. The course employs three modes of ICT: a shared database, a communication conference system and a programming language platform, that is, interacting with the aid of conferencing and e-mail system. The research has been focused on the findings of one particular methodological method called “cyber-ethnography”. This new evolving research design requires one to be engaged with virtual reality and discern various interactive websites and virtual communities. Regarding the results of the research since it is a much wider research project conducted for Doctorate Education, the article results has provided us with only concise evidence based on one research method. According to the results, advantages are related to the given adequate time for reflection and thoughtful response for students. In the same vein, further focal points are shown in the possibility of learners to interact, learn and share experiences with each other across the universe on diverse issues. Referring to the drawbacks, they are connected with the technology related issues such as access, equity and support (Browne, 2003). Another empirical study undertaken by Sun (2011) researches the impact of online and traditional course delivery methods on learner`s academic achievement. The study tests the hypothesis whether non-traditional course learners can better apply the theory they obtain to practice. As a sample for research, students who major in Marketing take part in various course delivery methods in order to test this proposition. The findings indicate that online students outperform traditional students in applying the theoretical knowledge they gain to real life conditions, particularly the quality of start-up business marketing plans developed by online learning students are superior than that of face-to-face learning students. In other words, it could probably mean the higher position of online learning over traditional environment along with being able to equip online learners with life-coping skills and the ability to work collaboratively or individually, which are exclusively valued in the current world. 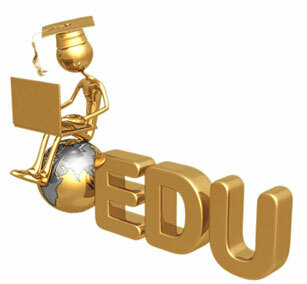 In conclusion, one can claim that the advantages of online education mode in higher education outweigh the disadvantages. From the aforementioned articles, it is crystal clear that traditional mode of learning is not likely benefit individuals in their further occupation in view of the fact that students need to be provided with skills and abilities that put more importance on real life learning and evaluation and the last but not the least thing to note is the ability to apply the theory we gain to everyday life. Browne, E. (2003). Conversations in Cyberspace: a study of online learning. Open Learning: The Journal of Open, Distance and e-Learning, 18(3), 245-259. Hansen, E. D. (2008). Knowledge Transfer in Online Learning Environments. Journal of Marketing Education, 30(2), 93-105. McLoughlin, C., & Lee, M. J. W. (2010). Personalized and self-regulated learning in the Web 2.0 era: International exemplars of innovative pedagogy using social software. Australasian Journal of Educational Technology, 26(1), 28–43. Sun, Y. H. S. (2011). Online language teaching: The pedagogical challenges. Knowledge Management & E-Learning: An International Journal, 3(3), 428–447. The purpose of my thesis is to explore the impact of class size on student`s academic achievement. Drawing on empirical knowledge and relevant literature, this research aims to determine whether smaller class sizes in Kazakhstan bring about improved student academic performance in contrast to students in larger class sizes. Since the school quality, particularly class size, on student achievement is one of the perplexing topics for last decades (Hanushek, 1986, 2003; Krueger, 2003). 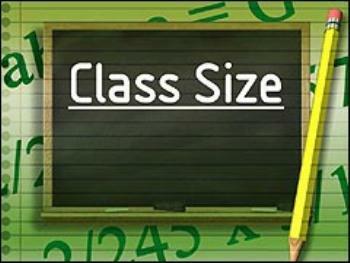 Class size has an immediate effect on the quality of teaching and instruction delivery. Class size has a potential to increase or decrease the academic performance of students and make them lose interest in school or vice versa. According to Lazear (2001) class size is essential because of its playing vital role in setting the classroom environment. This comprises of student`s academic achievement decline in larger classes and rise in student achievement of those in smaller classes. Besides students` discipline becomes more of an issue, as there are more students to attend to. Conversely, in smaller classes teachers concentrate their attention on individual students along with whole class and have a chance to focus more on the educational programs being taught instead of students` behavior and other issues that are taking place in the classroom. Moreover, Everston and Folger (1989) determine that class size permits teachers to use more effective teaching methods, putting them in a superior position to give students more individualized instruction. Consequently, it is fundamental that class size and its effects, specifically at secondary levels, be investigated also in Kazakhstani context. As large class sizes in Kazakhstani mainstream schools may have a negative impact on students` academic achievement. Nonetheless, there is an absence of research-based evidence on class size problem in Kazakhstan. Therefore, the findings from the research will fill the research gap and add to the current existing knowledge base. What has been the single most helpful course or reading in the past year? The most interesting and valuable course was Leadership, planning and change management course, specifically sessions which were focused on teacher leadership. I came to conclusion that to increase teachers’ commitment, dedication, and hence their action, they need to be included in the decision making process rather than only in implementation one. When teachers are given such rights and responsibilities, share in decision-making power, and are encouraged to pursue their own initiatives and innovations, they are more determined to change their teaching practices and their school. Since my current work is enough unpredictable in terms of urgent reports and interruptions the first year has been undoubtedly tough for me in terms of doing my weekly master`s assignments, preparing for my classes, running housework errands and etc. simultaneously. I was always confronted with everlasting meetings, regular interferences, and emergent last-minute works. How will this year be different, harder, easier, etc.? I guess this academic year will be harder as we are to write our theses. Therefore now looking back at my first year experience I realize that something should be done such as adding or leaving some contingency or emergency time for interruptions to my schedule not to end up working so late as last year. Evertson, C.M. & Folger, J.K. (1989, March). Small class, large class: What do teachers do diferently? Paper presented at the annual meeting of the American Educational Research Association, San Francisco, CA. Hanushek, E.A. (1986). The Economics of Schooling: Production and Efficiency in Public Schools. Journal of Economic Literature, 24, 1141-1177. Hanushek, E.A. (2003). The Failure of Input-Based Schooling Policies. Economic Journal, 113, 64-98. Krueger, A.B. (2003). Economic Considerations and Class Size. Economic Journal, 113, 34-63. Lazear, E. (2001). Educational Production. Quarterly Journal of Economics, 116 (3), 777-803.